Do you live in a community with hard water? Most Minnesotans do. 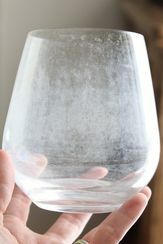 A lot of us have experience with hard water’s unpleasant effects: dingy clothes, deposits on glassware and cooking utensils, scale buildup in pipes and on fixtures, and more. It’s not surprising that water softeners are a popular household item. Soft water has some notable benefits. Among others, it can extend the life and improve the efficiency of water heaters, dishwashers, and other appliances, which potentially saves on water, energy, and detergent use. A major drawback of salt-based ion-exchange water softeners is the chloride they produce and discharge into septic or sewage systems. Chloride from salt can seep into and pollute groundwater from on-site septic systems. Chloride also enters the environment via wastewater treatment facilities. Because facilities aren’t designed to remove it, chloride ends up in rivers, lakes and streams. High levels of chloride in the environment are toxic to fish and aquatic creatures. If you own a water softener or are thinking of getting one, read on for some strategies that can help lessen their environmental impacts. Determine if you really need one­. Hardness is determined by the level of minerals, principally calcium and magnesium, contained in water – the more minerals present, the harder the water. Groundwater is typically harder than river or lake water. 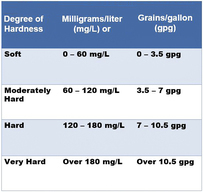 The table to the right provides a common classification of water hardness. Before buying a softener, have your water tested for hardness or ask your city for information. Find out from your water utility if softening happens during the drinking water treatment phase. Minneapolis, St. Paul, Bloomington, and several other Minnesota cities use lime-softening or other upfront methods to soften their water, which eliminates or decreases the need for household treatment. Reduce the salt. Only soften the water that needs it. Don’t soften water to outside spigots or to cold drinking water taps. 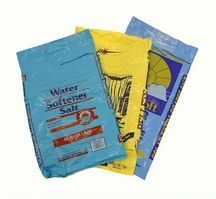 Only soften to the optimal hardness – over-softening wastes salt and water and results in excess chloride. Check your unit's settings and adjust if they're too high – the equipment may have been preset at an unnecessarily high level at the factory. Do things to reduce your overall water use. It will have environmental and economic benefits, including less need for water softening. For ideas on how you can conserve water in and around the home, see pca.state.mn.us/conserving-water. Adjust the timer. If you’re using less water because of changes in household size or because you’ve installed water-efficient appliances and fixtures—and your water softener is on a timer—you may be able to extend the time between regeneration cycles. Less regeneration results in less chloride in wastewater. Upgrade to a high-efficiency water softener. If you're buying or upgrading to a new water softener (a good idea if you own an older unit), look for one that is high salt-efficiency and demand-initiated. Though you may pay a little more upfront, you'll save on salt and generate less chloride. Go with a service. Another option is to subscribe to an exchange service. The company delivers soft water exchange tanks to the customer on a schedule determined by household size and water hardness level. Removed tanks are regenerated at a special facility, taking the handling of salt and solution discharge out of consumers’ hands. Chloride and Water Quality, Minnesota Pollution Control Agency. In-depth information on chloride and water quality in Minnesota. Includes newly released policy proposal from the Chloride Working Group. Water Softener Facts, Region of Waterloo and City of Guelph. Canadian government website contains useful information on how water softeners work, what to look for when shopping for one, water softener alternatives, and more. Water Hardness Fact Sheet, Washington County Department of Public Health and Environment. Brief, informative overview of water hardness and water softeners. The Effects of Chloride from Waste Water on the Environment, Center for Small Towns, University of Minnesota, Morris. 2013 report discusses the links between home water softeners and chloride pollution in the Pomme de Terre River watershed. Several of the large “Omnibus” bills under consideration in the Minnesota Legislature have provisions that would change longstanding environmental protections in Minnesota. MPCA leadership has testified against many of these provisions, arguing they are attempts to fix so-called problems that do not actually exist. In reality, they are an effort to hamstring our environmental work. Delay the impaired waters list, creating an endless loop of bureaucracy. Add new, redundant, and unnecessary review provisions that would increase bureaucratic processes and slow down our work. Change standards of proof, putting scientific decision-making in the hands of administrative law judges instead of the MPCA’s engineers, soil scientists, hydrologists, microbiologists, toxicologists, and other researchers with the necessary expertise. Delay protection of wild rice by specifically directing the agency to slow walk its wild rice rulemaking, currently in process. Ban a faster, more flexible companion process to rulemaking in which the agency provides guidance to regulated parties and avoids painstaking, formal rulemaking. Add 15 days to our permitting timeline, which conflicts with our 150-day goal. Set a hard and fast deadline for permits that would hinder the proper handling of the most complicated cases. 90% of all MPCA permits are now completed on or before the 150-day goal. The MPCA did not request increased funding from the Legislature in our FY 2018-2019 budget but instead proposed a flat budget. The legislative response so far has been to make cuts. For example, language in the transportation and energy bills puts at risk the $47 million due to Minnesota from Volkswagen as part of the company’s settlement for cheating emissions testing on its vehicles. As legislative leaders work out compromises between House and Senate differences, agency leaders are working hard to let legislators know what impact the proposals would have on environmental protection in Minnesota. The Minnesota GreenCorps member application is opening soon! MN GreenCorps members gain valuable skills and experience in the environmental field while giving back to communities in Minnesota. Along with a living allowance of $1,148 per month, members have the offer of health insurance, loan forbearance, and upon completion, MN GreenCorps members receive an education award of up to $5,815 that can be used for further education or to pay off qualified student loans. To receive a notification when the application is open, please sign up here. Member application materials and additional information about the program will be available on the MN GreenCorps website. Please direct questions to mngreencorps.pca@state.mn.us. 2017 Resilient Yards Workshop—Crystal. May 4, 6:00 PM - 9:00 PM. Location: Crystal Community Center, 4800 Douglas Drive North, Crystal, MN 55429. Unseasonably warm weather, long droughts and flooding rains are the new normal for spring and summer in Minnesota. Learn how your yard can adapt to and even help mitigate threats posed by these extreme weather events. $15 per household. Register at metroblooms.org/event/2017-crystal-workshop. Check Metro Blooms website for additional locations and dates. Burnsville Native Plant Market. May 20, 9:00 AM - 12:00 PM. Location: Parking lot across the street from Burnsville City Hall,100 Civic Center Parkway, Burnsville. Help birds, butterflies and bees by growing native plants! Native wildflowers, ferns and grasses will be on sale from multiple vendors at this farmer’s market style event. Info: Burnsville Native Plant Market. Fix-it Clinics. Bring your broken household goods and clothing in need of repair. Please also bring any tools and supplies you think might help with the job. Events are first come, first served. Hennepin County Fix-It Clinic. May 13, noon to 4 PM, Bloomington Center for the Arts, 1800 W Old Shakopee Road, Bloomington. Ramsey County Fix-It Clinic. May 20, 10:30 AM - 1:30 PM, Rondo Community Outreach Library, 461 North Dale Street, St. Paul. Dakota County Fix-It Clinic. May 20, noon - 3 PM, Burnhaven Library, 1101 County Rd 42 W., Burnsville. WaterFest 2017. June 3,11 AM - 4 PM. Location: Lake Phalen Park ,1600 Phalen Drive, Saint Paul. WaterFest is a free celebration of our clean lakes and offers outdoor fun and opportunities for hands-on learning about the water quality, wildlife, and special ecological features of our beautiful watershed. Control Agency. Please send questions or comments about living green to the address below.